Places to Visit in Haines, Alaska ↠ Haines Brewing Company. 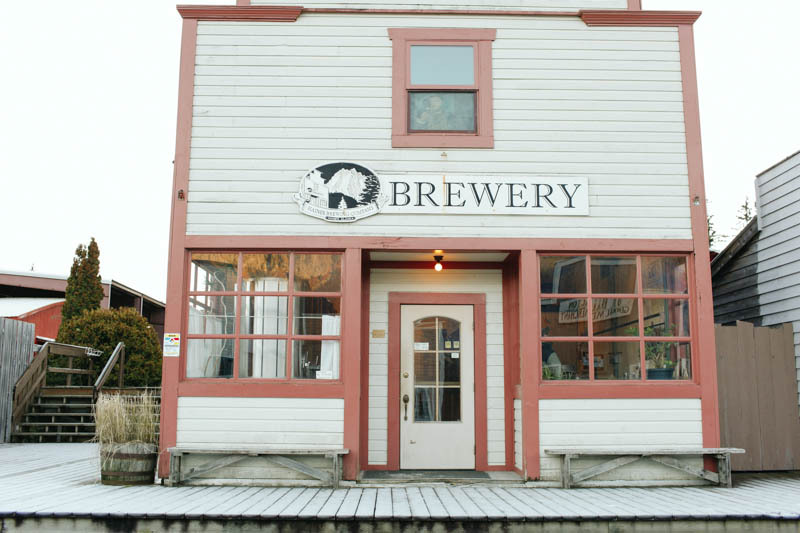 Our favorite stop in Haines, Alaska is always Haines Brewing Company. You can taste test their beers (I think it's a dollar or two now for one of their tasting glasses) and check out where the deliciousness is made. My favorite of their beers is Spruce Tip Ale. We've grabbed a few growlers both times now, and they're worth every penny. Anyways, back to the brewery, you can also get some Haines Brewing Company beers at a few select restaurants and bars around Alaska. I know Fogcutter Bar in downtown Haines (where we first tried it) has some, Fireweed Restaurant (also in Haines) has it on tap, Island Pub on Douglas Island usually has one in rotation, and Hangar on the Warf occasionally has one or two. It never hurts to ask! On our last trip, we filled up three growlers before driving through Canada and then most of the US. Sad story, one growler fell in our truck and to add to the pain of losing a growler of one of my favorite beers, the truck REEKED most of the way through Canada/Montana. Aye yi yi. More places to visit/eat in Haines, here.